To some, this may seem like a strange concept and I have to admit that at first I was a little reluctant to travel to that part of the world. 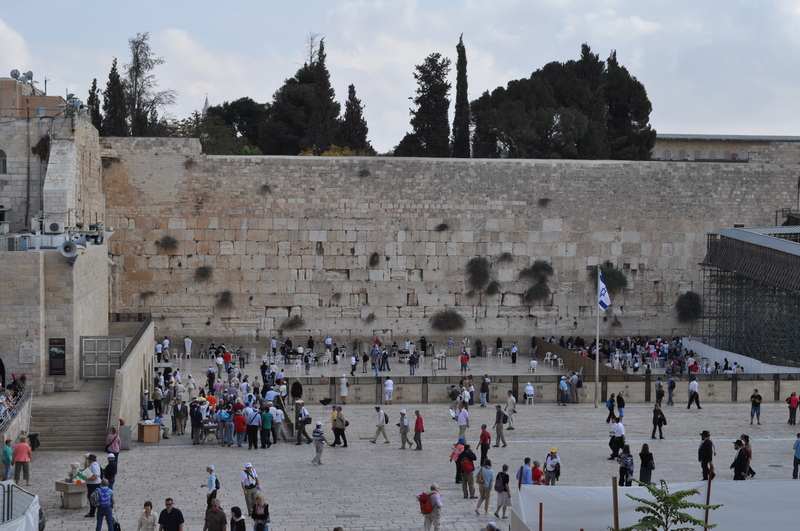 However, we recently returned from a beautiful two week trip in Israel with two of our friends. Our flights were booked last January and over the next few months we developed the itinerary which included booking a private guide for six days of the trip. Given the history of that part of the world we were entering, I had the impression that we might feel unsafe at times. I expected to see military or police presence everywhere. This impression could not have been more incorrect. Upon arrival in Tel Aviv, I quickly learned that the city and the people were more westernized than I expected and I had the feeling that we could have been in any large city in the U.S. if not for the fact that we could overhear conversations in Hebrew. Almost everyone we encountered during the course of our trip spoke English so we never felt disconnected when communicating. We never felt unsafe in any place we visited and we enjoyed every moment of the trip. Our travels started in Tel Aviv where we spent the first few days on our own getting to know the city and experiencing some wonderful cuisine. We visited a local market called the Carmel Market and visited Jaffa, a 4000 year old port area. We also visited the Tel Aviv Port which is now thriving with shops, restaurants and activities to name just a few of our experiences. After the first few days in Tel Aviv, our private guide picked us up. 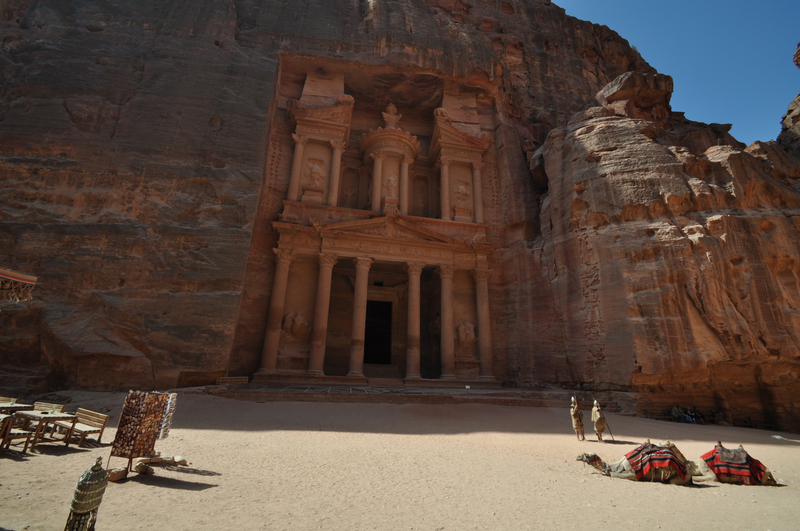 Having a private guide was a wise decision. He was both knowledgeable and friendly and, in many ways, he is the reason that our trip was a great experience. He spent the next six days with us as we traveled to the northern coast of the Mediterranean to see the amazing Roman ruins in Caesarea and to visit Old Akko. We drove east through the Galilee and spent two nights in Tiberias. With Tiberias as our home base for a couple of days, we visited Tzfat, the Banias Nature Preserve, Golan Heights Winery and a former military bunker on Mt Bental overlooking the Syrian border. On our way to Jerusalem, where we spent four days, we visited Capernaum on the Sea of Galilee, Beit She’an (another site of Roman ruins) and Beit Alpha to see a preserved 1500 year old mosaic floor that was part of an ancient synagogue. Once we were in Jerusalem, we took a few side trips that included climbing Masada and floating in the Dead Sea. Jerusalem was another surprise for me. I anticipated that all of Jerusalem was a small walled city. The walled city is in fact only about two square miles and the rest of the city sprawls out about 50 square miles over a very hilly region that quickly gives way to a stark desert landscape. 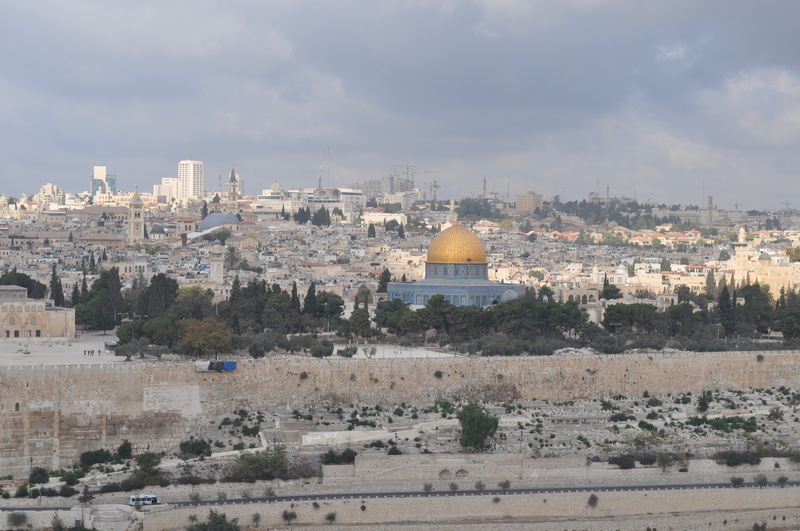 Jerusalem is a rare blend of cultures, religions and history. Old Jerusalem is made of the Jewish Quarter, the Arab Quarter, the Christian Quarter and the Armenian Quarter. The people in each area go about their everyday lives and seem respectful or, at least, tolerant of each other. To outsiders like us all seemed peaceful, but even as we toured this beautiful land, it was clear that the peaceful veneer is sometimes very thin. 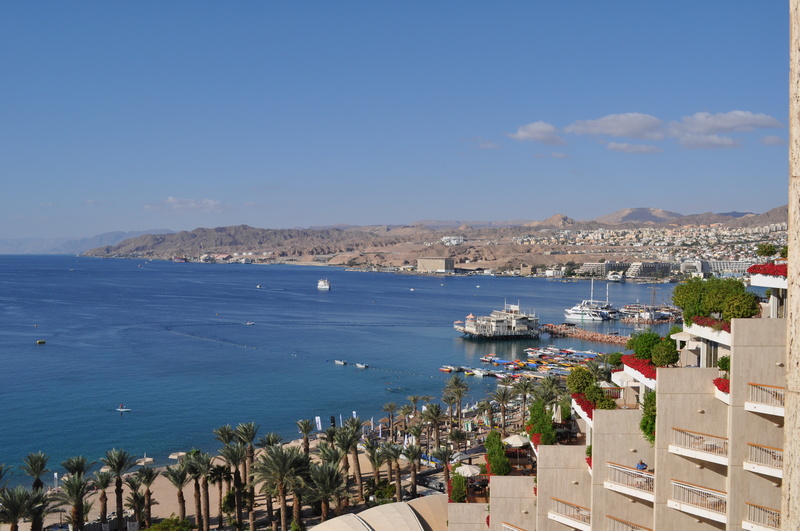 After four days of soaking up all of the historical and religious culture we could in Jerusalem, we rented a car and drove south through the Negev Desert where we soaked up some sun at the seaside resort of Eilat on the Red Sea. During our two day stay in Eilat, we took a day trip to Jordan to see Petra and Wadi Rum, which was a wonderful and unique place to end our trip. Our trip took us to almost every corner of Israel and was filled with many surprises, beautiful scenery, great food and so much history. Of all of the trips we have taken, this vacation in Israel was one of the very best! Israel is far different from anything I had imagined. It has a rich diversity of landscapes from beautifully stark desert areas to lush areas of vegetation and trees along with waterfalls and rushing streams. On its borders are the Dead Sea unique in its harsh conditions and the contrastingly vibrant Mediterranean and Red Seas. Israel is also a country with a wonderful melding of a modern and innovative society with traditions steeped in history. 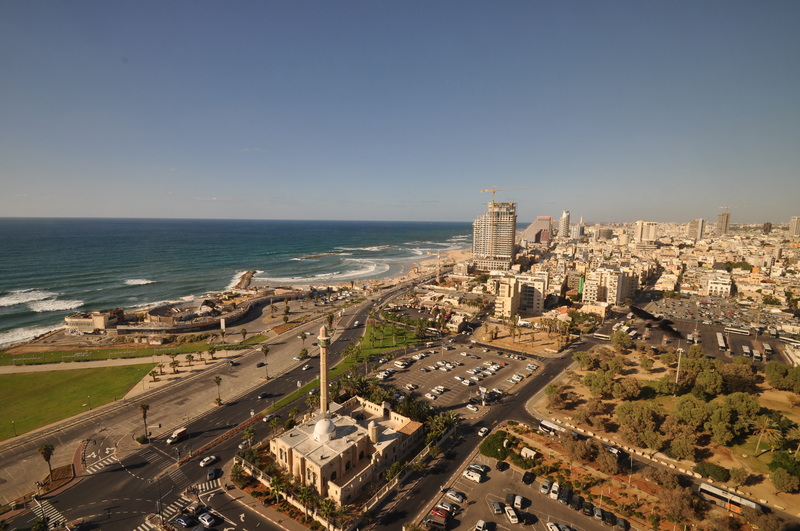 There are progressive cities such as Tel Aviv and ancient cities such as Jerusalem which is the ancestral home to many cultures and religions. The most impressive thing about Israel, however, is that it is an oasis of sanity and normalcy in an otherwise hostile region. I was amazed at how the people of Israel went about their daily lives with a steady and calm decorum despite the fact that they are constantly living in the cross hairs of their neighbors’ weapons. Make no mistake in believing that the Israeli population is not acutely aware of the dangers all around them or that they are not ever vigilant in protecting and defending themselves. There is the mandatory three years military service, the military checkpoints at key locations, and the state of the art security at airports. Yet, there was never the feeling that you were visiting a country that was on high alert or living in fear. For example, much of the security at the airport is subtle and subdued. They are not unduly concerned about carrying liquids nor do they require you to remove your shoes when going through security. Instead, they watch and study you as you pass through security to gauge your demeanor and, thus, your intentions. It appears that when you have been looking at the face of your enemies for centuries, you learn to recognize them when you see them. Perhaps, this resiliency and ability to thrive in such a hostile environment is a result of weathering the storms of hatred, persecution, bigotry, and unbelievable violence for centuries. When you have endured and survived the darkest periods of human history, you learn to never again let your enemies control your destiny. Regardless of where you stand on the political, cultural, and religious conflicts that have been the hallmark of the region for decades, you have to admire the ability of the Israeli people not to let the ever present dangers dampen their spirit or diminish their resolve to build a future. They may be living in the cross hairs, but, they will not be deterred from living out their dream of a homeland. Look for Annemarie’s post about our trip to Israel this Wednesday. Annemarie and I are on a three week trip to the West Coast to visit our sons Matthew and Michael and our daughter-in-law Erika in San Francisco and then spend some time at our home in Arizona. The first stop on our trip was a four day visit to Portland, Oregon. One of the things we found interesting about Portland was the prevalence of food carts throughout the city. These semi-permanent carts usually are clustered together in small parking lots and are a vibrant part of the personality and atmosphere of the city. On one of our walking tours of the Downtown area we encountered one such cluster of about twenty food carts with a wide variety of ethnic foods as well as several serving more traditional fare of soups, sandwiches, and other familiar foods all with an individual flair. As we waited for our food while standing on the sidewalk along with a throng of other people, I was struck by the realization that each cart was a small business that appeared to be owned and operated by either a couple or a few friends and relatives. It was also very noticeable to me that many of the owners of these small businesses were, let’s say, very interesting and somewhat exotic in their appearance and dress. What really caught my attention was how serious and dedicated the owners were about the quality of their food and their customer service. They obviously took pride in their small business and many of them displayed various local awards they had won for their food. What intrigued me the most about all of this was the fact that in any other setting I would never have recognized most of them as the owner of a small business. When we talk about being an entrepreneur and part of the business community, we tend to think that you need to conform to traditional standards if you want to succeed in business and be part of the system. What I learned from this experience was that the pride of operating something that you can call your own and being rewarded for your efforts transcends all of our notions of what it means to be part of the system. When it comes right down to it, the system belongs to everyone and is really all about having the opportunity and desire to pursue your dreams. In previous blogs about our recent trip to Italy, Joe mentioned two things, about which I need to comment. One is the group traveler and the other is that most people you encounter are kind and helpful. Some group travelers don’t seem to fully enjoy anything around them and their visit seems quite sheltered. They are so intent on listening to the tour guide on their headphones and watching for the tour guide’s flag that they lose sight of the wonders all around them. We were sitting next to a couple on a boat at Lake Como who were part of a tour group. The lake is beautiful and there is so much to see. They spent the entire one hour ride looking at their map as the tour guide spoke in their ears telling them where we were. Instead of enjoying the views, they watched their progression on the map not wanting to miss one word. We met many wonderful people during the month including travelers from all over the world and locals. Unfortunately, one day I had a bad encounter. 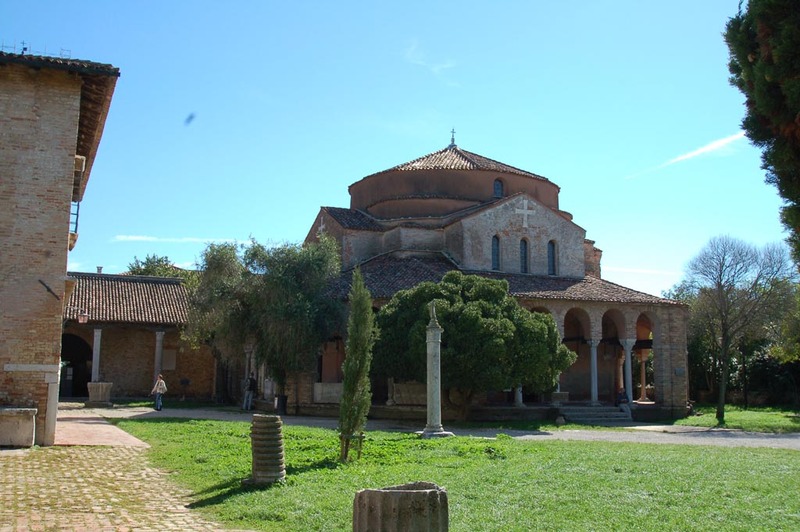 We boarded a boat in Venice to visit an island called Torcello. The boats have enclosed seating and only 6-8 seats outdoors in the rear of the boat. We headed there so we could take pictures. There were four empty seats. As I opened the door to the rear, a man who was a tour guide waiting for the rest of his group, stiff armed me and pushed me back through the door stating that the area was closed. He and Joe had a brief encounter after that. My only recourse was to approach him as we left the boat to tell him he was a very rude man! Since Internet service has been hit or miss for much of our trip, we have managed to get by with a little help from our friends. In fact, we have a support network of skilled and responsible people, including our Director of Finance at the office, our property manager for our home in Arizona, and our rental agent for our Condo in Wildwood who have kept everything under control while we are away. On our way to Venice, we spent several days in Parma and Bologna not only because they are interesting cities but, also, because of the fabulous food. Parma is home to the famous Parma Ham (prosciutto) and, of course, Parmagiano-Reggiano cheese which is only produced in the Parma area from the milk of selected cows fed a specific diet. We took a tour of a cheese factory and saw the very exacting process of making this world famous cheese. We also learned that the term parmesan cheese is a generic name and does not necessarily refer to the authentic Parmagiano-Reggiano cheese. Bologna is where Bolognese sauce was created and is also famous for its sausages. Since we do not live on bread alone, just add some pasta and a plate of local meats and cheeses. Our last stop before Venice was Padua for two days which gave us a chance to take a road trip for the day to Verona, a nearby small town. Then we drove to Venice, dropped off the car at the airport, and spent the last five days of our trip in this most fascinating city. Our hotel is right on the Grand Canal and is near the Rialto Bridge. We enjoyed watching all of the activity on the Canal from our balcony. We have done a lot of traveling over the years to many different cities and countries. One thing that rings true to me is that after you get past the language barriers and cultural differences all people are, essentially, the same. We all have the same needs, concerns, and aspirations. I have found in our travels that most people are courteous and want to be helpful just as there is always a very small minority of people who are rude and obnoxious. After it is all said and done, the human condition is the same no matter where you go. The fun of traveling is exploring unique and exciting places, yet, it is comforting to know that, despite the obvious differences, the people you are going to encounter, in many ways, will be much like you. Parts 1 and 2 of Joe and Annemarie’s trip to Italy can be read here and here. Milan has many spectacular sights; however, the best part of our three day stay was seeing one of the most iconic works of art in the world, Leonardo da Vinci’s painting (actually it’s a fresco) of “The Last Supper”. Luckily, we booked tickets well in advance since when we were last there it was sold out for over a month. In reality, you make an appointment for a certain day and time and at your appointed time you are allowed in with a group of only 25 people to view the painting for a 15 minute supervised visit. We booked two separate times over two days so we got to see it twice. It was painted from 1494 to 1498 and it is a miracle that it is still here for us to marvel at its beauty. It was created to decorate the wall of the dining room of a monastery and the monks, over the centuries, neglected and partially destroyed the painting. During World War II, the adjoining wall and roof were destroyed and the painting was exposed to the elements for three years. It was not until 1979 that a serious effort was made to restore the painting which restoration was not completed until 1999. We picked up our rental car in Milan and headed for Stresa on Lago Maggiore the first stop on our driving tour of the northern lake regions as we work our way across Italy to our final destination of Venice. Stresa is a popular resort on a spectacular lake surrounded by mountains and dotted with islands that have centuries old palaces and gardens to explore. While in Stresa, we drove along the lake into Switzerland and had lunch in Locarno at the northern end of the lake before returning to Stresa later in the day. After three relaxing days in Stresa, we headed for the more famous town of Como on Lago di Como for another three days of resort living. Como is much larger and older than Stresa and less serene. 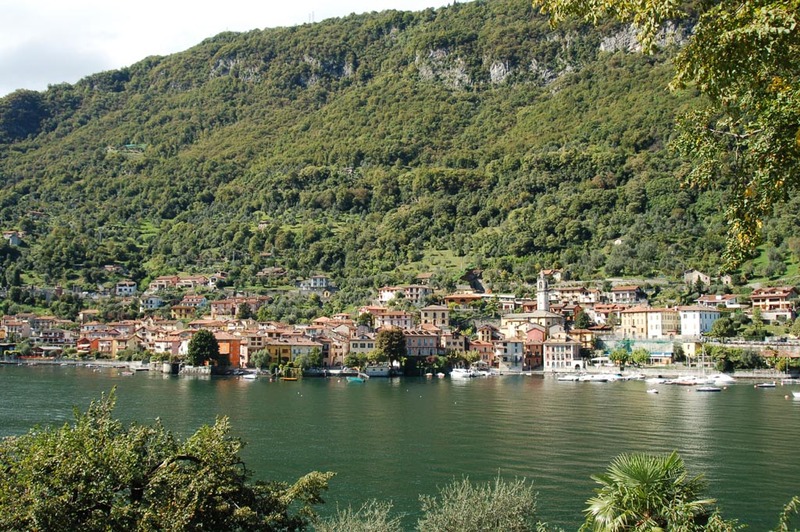 Lago di Como is a beautiful lake and we have explored it by boat. One boat trip was to Bellagio one of the best known and most popular resort towns on the lake. Another was to Isola Comacina which is the only island on the lake and is uninhabited except for a restaurant that provides an elaborate six course meal from a fixed menu, which we thoroughly enjoyed. Lago Maggiore is very picturesque but Lago di Como with its massive luxury hotels along the water and beautiful homes nestled on the hillsides is simply stunning. 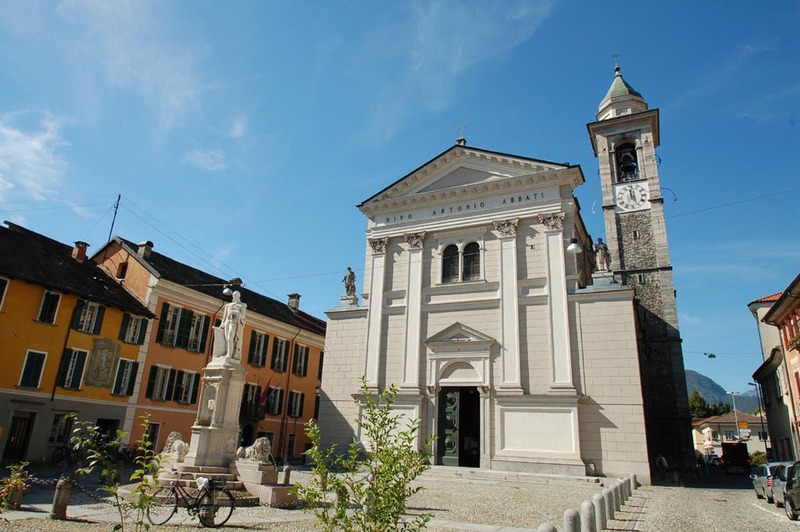 Lago Maggiore has a lot of charm while Lago di Como clearly is more substantial and appears to be more affluent. Our six days in the lake regions were a welcome change from the sightseeing we enjoyed in the larger cities and allowed us time to unwind before our visit to Bergamo for more sightseeing. We almost were not able to send this to you. Annemarie had worked out a plan to have Internet service in Italy from a major wireless company, who shall remain nameless, except, to say that we should have known trouble was just over the “Horizon”. The plan proved to be worthless and after two days we discontinued it in the hopes that we could find Internet service from time to time in our hotels. Fortunately, our beautiful hotel in the heart of Florence has, among its many amenities, free wireless service. While in Florence we will still be connected to home and the office. Our cell phone never stopped working. Thank goodness for Blackberries! After the hustle and bustle of Rome, we had a very pleasant experience in the small town of Orvieto. Orvieto is located on the top of a volcanic plateau in the Umbrian Region and commands stunning views of the surrounding vineyards and farms. We spent two days and one night in this quaint town and found it very charming and interesting. One highlight was the tour of the Orvieto underground city that was started over 2,800 years ago by the Etruscans. It is a labyrinth of caves and tunnels that were first dug in a desperate effort to find water. We arrived in style at our hotel in Florence after we decided to forego the hassle of traveling by train which we had experienced on our trip from Rome to Orvieto and hired a private car and driver who delivered us directly to our hotel. Florence seems more crowed with tourists than Rome. We took a break from the crowds and went on a walking tour of Cinque Terre which is five small towns along the rugged coast line about two hours by train from Florence. This will be contentious to some but I do not like organized tours and very rarely have we traveled with a tour group. I don’t like the set itinerary, the strict schedule and most of all I don’t like seeing marvelous cities from the window of a tour bus. When we go to any city, we first take the time to walk the streets for hours just soaking up the atmosphere as I used to say to our children. With all of the resources available on line, you can find all the information you need about any destination and pre-book tickets for popular attractions to avoid a long wait in line. We also have the advantage of having a friend who has traveled extensively throughout Europe. She acts as our travel consultant and helps implement our plan. I will go so far as tell her what room I want at a particular hotel and she will get it for us. Our best advice is to do your own advance planning with or without help and then do your trip your way.